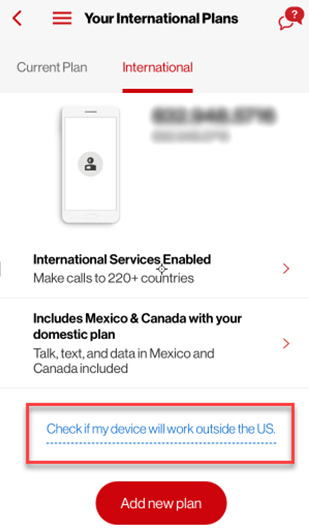 From the International tab, tap Check if my device will work outside of the US (at the bottom; may require scrolling). From the 'Where are you traveling?' 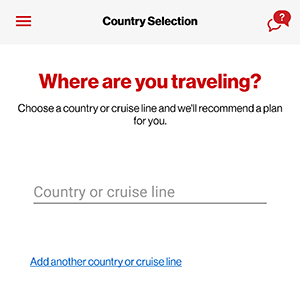 screen, enter the applicable country or cruise line then tap Next. Tap Add another country or cruise line if more than one location is needed. 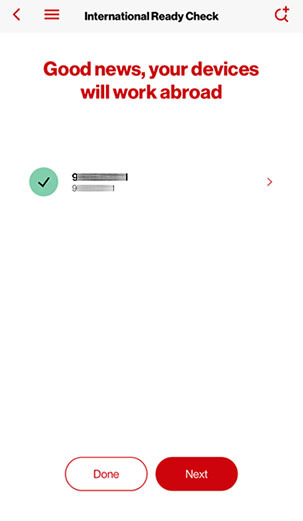 If a yellow or red circle appears next to a device, it is not able to be used Internationally. Tap the device for additional options. Tap Add new plan (at the bottom; may require scrolling). Tap Travel Plan then tap Next. From the 'Which devices need this plan?' screen, select the mobile number(s) then tap Next. If applicable, swipe left or right to view additional plan recommendations. From the 'When should your new plan kick in?' screen, select a date. Defaults to today's date. To choose a different date, tap Today, select a date, tap OK then tap Next. 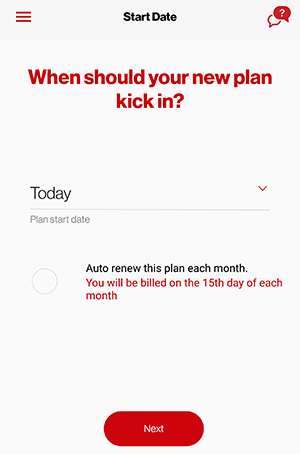 If preferred, tap (check) Auto renew this plan each month to keep plan until you remove it.